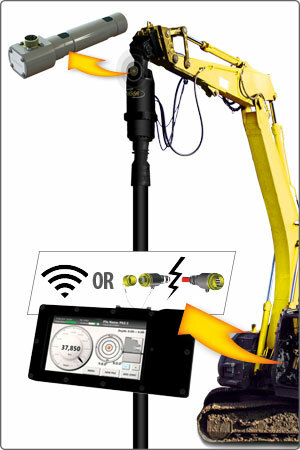 Digga's Torque Logic is a revolutionary torque monitoring and data logging system which will fit any type of drivehead. Where conventional hydraulic reading can be 30-50% out, our monitoring system offers true torque readings over 99% accurate. Torque Logic can be installed by simply replacing your current pin with a new load cell. Unlike other systems, there is no loss of boom height.